"Given that words are at the heart of everything we do, communication is and should be central to this community to which we all belong. The joy books give us is communal and so is the responsibility for their ongoing life. Not just a responsibility, but a privilege. To say that being a part of that community for 40 years, being part of the ABA Board for eight, being the president for two has been interesting is putting it mildly. I won't even begin to describe it except to say that it's been a great honor. There's nothing I care more about (besides my loved ones) than books and this industry--this community--we've formed and are continuing to strengthen. All I have left to say is thank you." 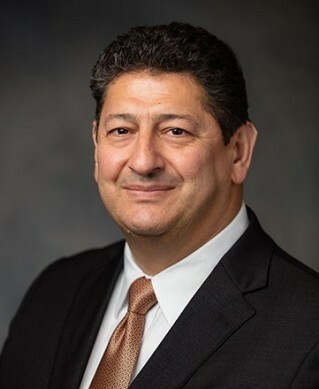 In an q&a with Fortune magazine, Demos Parneros, who became CEO of Barnes & Noble in April, said that Amazon's expansion of its bricks-and-mortar books and electronics stores has reassured him about the future of B&N: "Amazon opening physical bookstores, that's a bit of a validation that it's a good business to be in; the independents who are neighborhood favorites, that's another sign that people do want places to go to buy books, to learn, to explore." At the same time, B&N offers "a completely different shopper experience compared to Amazon," he said. "We have beautiful, large stores--the ability to roam and explore much more than in an edited, curated place. I walked several of the Amazon stores, and they are what they are. But they don't have that richness and years of experience from people who are local and understand that market." Parneros also disagreed with the notion that even after closing 86 stores in the last seven years, there are still too many B&N locations. He noted that only a small fraction of the company's 634 stores are unprofitable. Instead of considering closing stores, "we are looking at whether they're the right size and [asking] are we in right markets? The good news is that over next five years, 500 leases are up for renewal. That puts the hammer back in our hand. And we can decide what to do with those stores." Parneros called the five new format stores that B&N has opened in the last six months "our labs. What the five test stores hopefully will do for us is teach us. Did we find our lightning in the bottle for one of them that we can replicate? If we don't, but some pieces are working, we can roll those backwards into the chain." As for the merchandise mix at B&N, Parneros said, "We need to be innovative about how we sell books, but customers have given us the license to sell gifts and educational toys and other things and we can really seize that opportunity. We've had a very successful model for many, many years. It needs a little bit of refreshing." 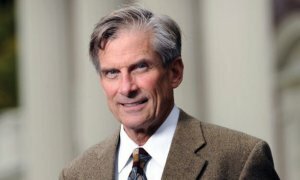 With the White House's proposed budget for fiscal year 2018 calling for the "orderly closure" of the National Endowment for the Humanities, William D. Adams resigned on Tuesday as chairman of the NEH. In a statement, Adams noted the positive resolution of the agency's funding for the remainder of fiscal year 2017 [the agency received a slight boost in its budget thanks to efforts in Congress] and the beginning of the administrative transition at NEH. "We're encouraged that Congress and the President increased our funding for the current year and that the White House has initiated the process of bringing new political appointees to the agency." Adams had been nominated by President Obama in 2014 after having been president of Colby College for 14 years. President Trump's budget also calls for the closure of the National Endowment for the Arts. The U.S. 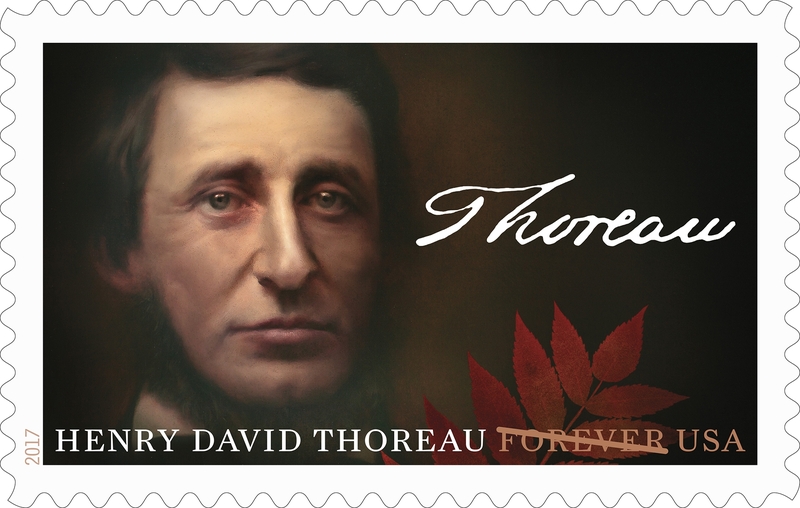 Postal Service is honoring Henry David Thoreau during the bicentennial year of his birth with a Forever Stamp. A first-day-issue stamp dedication ceremony took place Tuesday at the Walden Pond State Reservation Visitors Center in Concord, Mass. Thoreau was born July 12, 1817. The stamp art is an oil-on-panel painting of Thoreau's face based on an 1856 daguerreotype by Benjamin Maxham. On the right side of the stamp is Thoreau's signature of his last name, and below it a branch of sumac leaves. Sam Weber was the stamp artist and art director Greg Breeding the designer. "Thoreau was one of the great thinkers in this country's history on a wide variety of subjects, and the expression on his face in the stamp image captures his introspective and inquisitive nature," said USPS general counsel & executive v-p Thomas J. Marshall. Actor and environmentalist Ed Begley Jr., a board member of the Walden Woods Project, said, "Thoreau holds a significant place in the history of our country. The commemorative stamp not only celebrates the 200th anniversary of his birth, but reminds us of his continuing influence regarding 21st century global environmental and social reform challenges. It is fitting that the first-day-of-issue for the Thoreau stamp takes place at Walden Pond--the place that inspired him--and the birthplace of the American conservation movement." Our BookExpo 2017 preview series concludes today with a look at the Middle Grade Editors' Buzz Panel. The five buzz titles include everything from tales of magic and fantasy to stories of growing up in the face of incredible adversity, and all were selected by panels of booksellers, librarians and publishing professionals. Our series began Tuesday with a preview of the Adult Editors' Buzz Panel; a look at the Young Adult Editors' selections ran yesterday. Set in Kenya in the 1980s, Auma's Long Run is the story of a 13-year-old girl forced to make a difficult choice. On the one hand, Auma can pursue her dreams of getting an education through a track scholarship, while on the other hand, she can stay in her village, at a time when AIDS is devastating parts of the country, and help take care of her family. 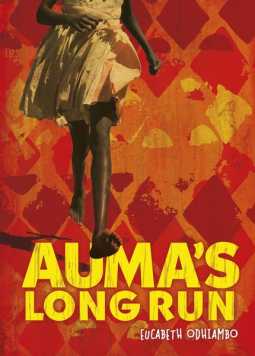 Written by Eucabeth Odhiambo, Auma's Long Run is out September 1 from Carolrhoda Books. Shane Mullen, bookseller at Left Bank Books in St. Louis, Mo., called Auma's Long Run a story "about women and courage and not giving up." Auma herself is "an inspiration and a fighter," and Mullen said he was "thankful that a story like this can be shared with such honesty and compassion." Angela Schwesnedl, co-owner of Moon Palace Books in Minneapolis, Minn., said the book manages to deal with "the hard subject of AIDS and death in a way that was informative without being preachy. I'd definitely recommend this book to anyone looking for a strong female lead character." 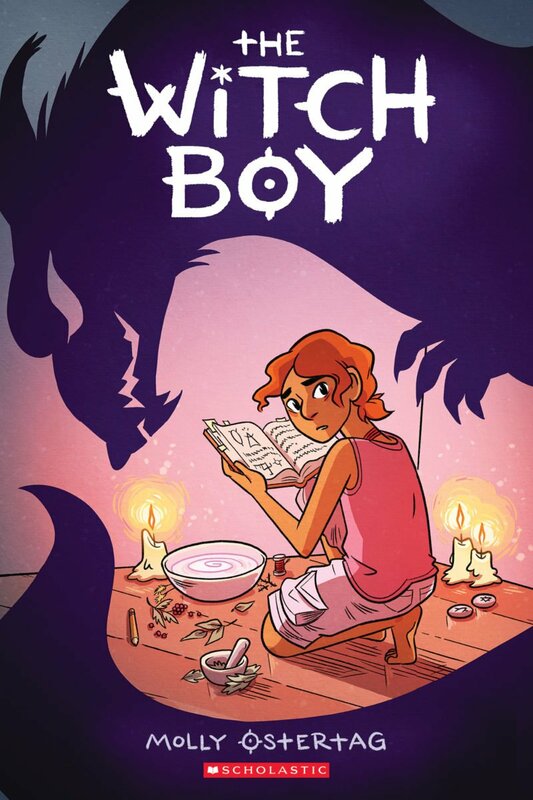 In Molly Ostertag's graphic novel The Witch Boy, Aster is part of a magical family in which all the girls become witches and all the boys become shapeshifters. At age 13, Aster is assumed to be on the cusp of becoming a shapeshifter. Unbeknownst to his family, Aster would rather be a witch, though the problem is that anyone who crosses the witch-shapeshifter line will be kicked out of the family and ostracized. But when the shapeshifters in his family are threatened, Aster is the only one who can save them-- and he knows he can only do it as a witch. Editor Amanda Maciel said she was immediately struck by the confidence of Molly Ostertag's vision, one that tells a "very classic coming-of-age story" in a way that is "so modern and compelling." The story manages to blend middle-grade fantasy with "contemporary touches" and a "brightness" that is reminiscent of Raina Telgemeier's work and extremely accessible. Maciel hopes that if any readers "find themselves in a similar situation in their real lives--if their preferred form of magic isn't socially acceptable for whatever reason--I hope they'll find comfort and inspiration in Aster's story." Ostertag's tale of magic, identity and belonging will be available September 1 from Graphix. 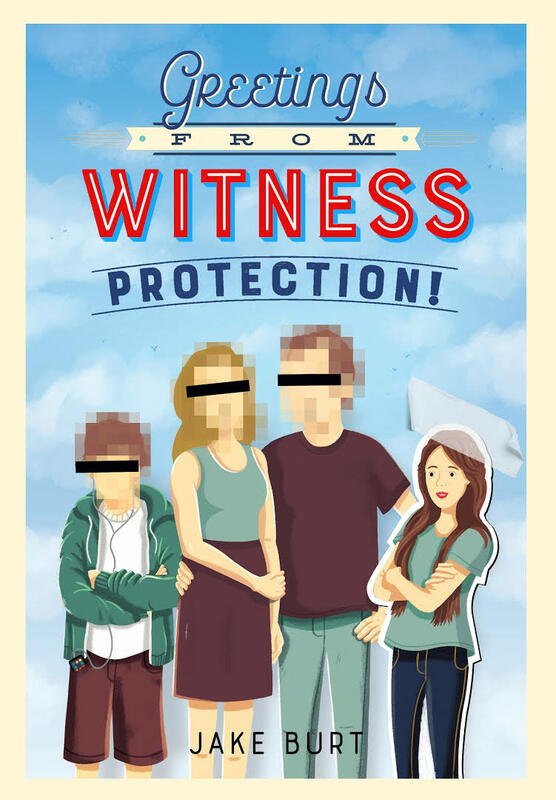 On October 3, Jake Burt makes his middle-grade debut with Greetings from Witness Protection!, about an orphaned teenage girl recruited by the U.S. Marshals to join a family in witness protection. Nicki Demere, a street-wise pickpocket, must assume a new identity and protect her new family from some of the most dangerous criminals in the country, all while going to school and maintaining at least a B average. Along the way Nicki will learn that perhaps the biggest threats to her new life are actually dangerous secrets from her own past. Dave Shallenberger, co-owner of Little Shop of Stories in Decatur, Ga., said that Nicki is "an absolutely terrific character," and the story is filled with humor and suspense. Lauren Savage of The Reading Bug in San Carlos, Calif., called Greetings from Witness Protection! a "unique original story about family, friendship, identity and starting over," while Melissa Posten, children's buyer and event coordinator at The Novel Neighbor in St. Louis, Mo., praised the depictions of "an exceptional sibling relationship, an unexpectedly sensitive treatment of anxiety-based compulsive kleptomania," and Burt's "completely original voice." Greetings from Witness Protection! will be published by Feiwel and Friends. 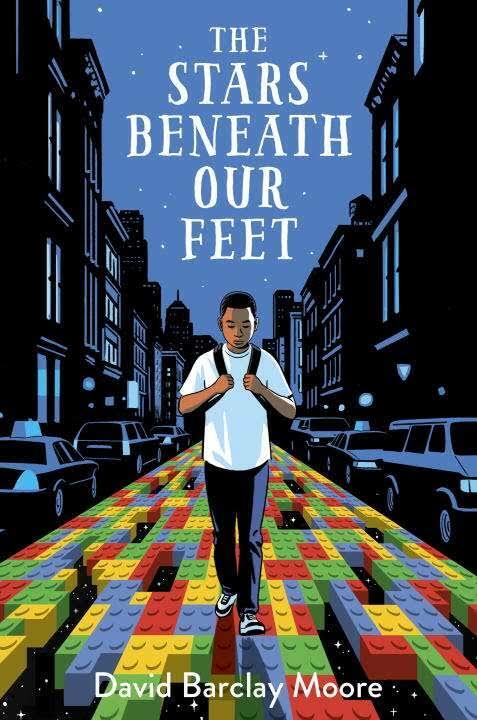 In David Barclay Moore's debut novel, The Stars Beneath Our Feet, Lolly Rachpaul is a 12 year old growing up in Harlem, and even though it's Christmas Eve, Lolly and his mom aren't celebrating. It's been only a few months since Lolly's older brother was killed in a gang-related shooting. They're still grieving, and Lolly and his mom know that someday soon Lolly might be pressured into the same world that took his brother's life. That Christmas, however, his mother's girlfriend gives Lolly a massive set of Legos without any instructions, and building a wondrous Lego city at the local community center gives Lolly an unexpected lifeline. Available from Knopf, The Stars Beneath Our Feet will be in stores on September 19. 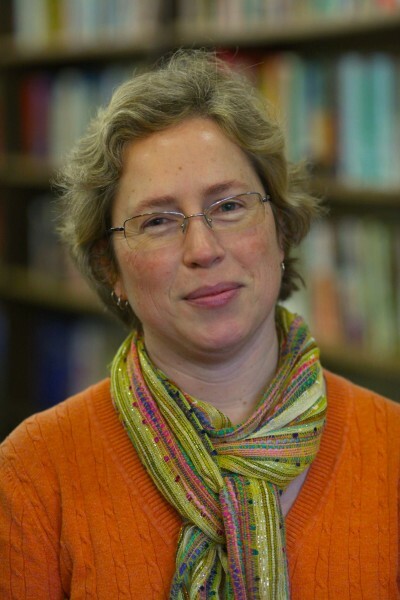 Nancy Siscoe, senior executive editor at Knopf Books for Young Readers, said she "fell in love" with Lolly Rachpaul's distinct voice and David Barclay Moore's "assured writing" and "nuanced portrayals." She was impressed with the novel's "power and scope" and "how packed with life this story is--life with all its messy, complicated, wonderful, frightening, unexpected twists and turns." Siscoe described the book as being "wonderfully specific" in its details but universal in its emotional appeal: "I believe every reader will see a bit of themselves in Lolly, and will be walking alongside him, cheering him on." 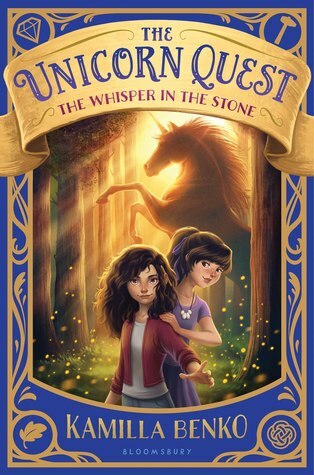 On February 6, 2018, a new middle grade fantasy series will begin with the publication of The Unicorn Quest: The Whisper in the Stone by Kamilla Benko (Bloomsbury USA Children's). It is the story of two sisters, Claire and Sophie Martinson, who move into a new home called Windermere Manor and find a ladder into a magical world known as Arden. Arden is consumed by a conflict between four rival mage guilds and beset by dangerous wraiths, and the world's unicorns have all disappeared. Frightened by what they find, Claire and Sophie leave Arden as quickly as they can, but it's not long before Sophie has gone missing and Claire must return to Arden alone to find her. Editor Sarah Shumway described The Whisper in the Stone as "the first installment in a series that is fresh-feeling but also wonderfully nostalgic" and "reminiscent of the classic fantasies that so many of us loved as children." In addition to the "classic fantasy appeal," the book tells a "touching and thoughtful story of sisterhood and its complicated bonds--what's wonderful and what's hard about sister relationships." Shumway added that she particularly loves the book's hero, Claire, through whom the author "captures this world in gorgeously visual ways." Benko "has a wonderful reverence for the fantasy she loved as a child... and brings that rich appreciation as well as fresh imagination and emotion to her story, world, and characters." 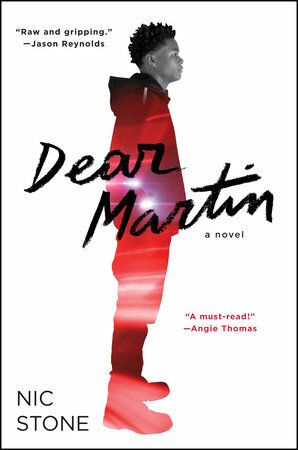 Nic Stone's debut novel, Dear Martin (Crown Books for Young Readers, October 17), tells the story of Justyce McAllister, a black teenager from a tough neighborhood attending prep school as a scholarship student. Despite all that Justyce has achieved--he's at the top of his class, captains the debate team and is set to go to an Ivy League college after he graduates--he routinely faces both the derision of his former schoolmates and the prejudices of the students at his prep school. After getting handcuffed by a police officer and ultimately released without charges, Justyce begins writing letters to Dr. Martin Luther King Jr. in which he tries to make sense of the world around him. But one day Justyce's entire life is upended when he and his best friend are confronted by an off-duty white police officer while driving around with music blasting. Tempers flare, a gun gets fired, and a media firestorm begins that could destroy everything Justyce has worked for. 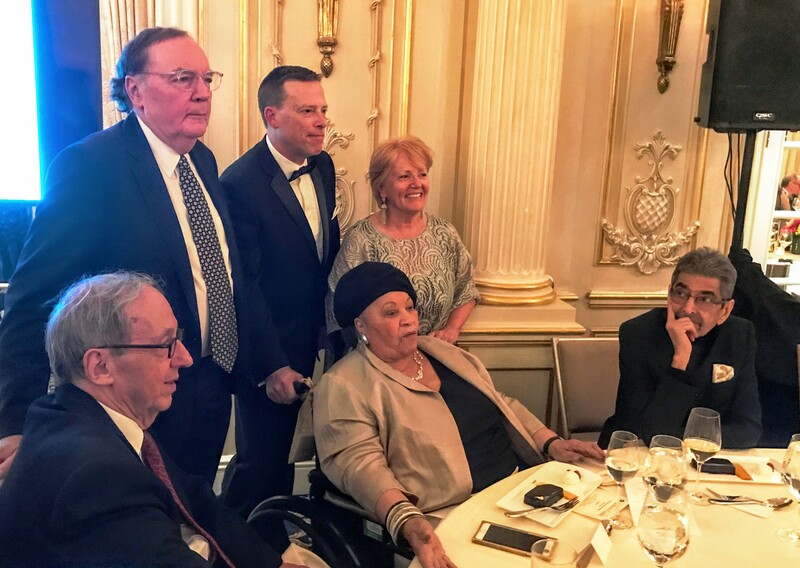 At the 25th annual Authors Guild dinner last night in New York City, awards for distinguished service to the literary community were presented to James Patterson (upper left); IngramSpark, represented by Kelly Gallagher and Robin Cutler (next to Patterson); and Toni Morrison (c.). Looking on: (l.) agent and lawyer Robert Barnett, who introduced Patterson, and Sonny Mehta of Knopf. 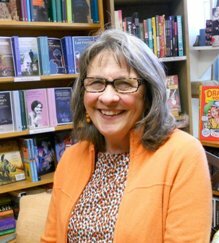 Congratulations to Carol Spurling, owner of BookPeople of Moscow, Moscow, Idaho, who has been elected to the Moscow Chamber of Commerce for a three-year term, starting in July. Twelve candidates ran for four open slots. Spurling commented: "I'm looking forward to serving!" Allison Schuster has been promoted to marketing manager for the Ballantine Bantam Dell imprints. She joined the BBD marketing team in 2013. At Scott Manning & Associates, Abigail Welhouse has been promoted to senior publicist. The company also has a new address and phone as of June 2: 433 Broadway, Suite 432, New York, N.Y. 10013; 646-661-6665. Last Things: A Graphic Memoir of Loss and Love by Marissa Moss (Conari Press). Among the world's most compelling destinations, New York City is one of those places that people come back to again and again. 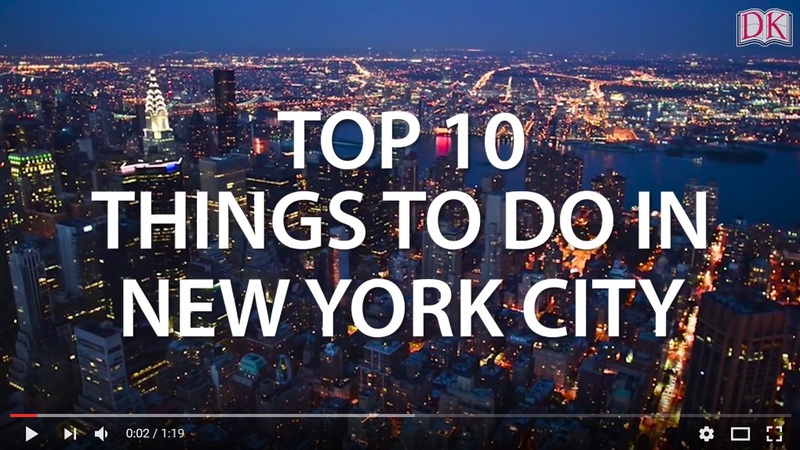 Whether you are dreaming of strolling Central Park, are thinking about biking the Brooklyn Bridge, or want to discover the city's best museums, this video showcases 10 of our top things to see and do in NYC. The Game of Thrones season 7 trailer "is here, finally, at last. So why are you even reading this when you could be watching--and rewatching," Entertainment Weekly noted in featuring a "90-second preview reveals the first live-action footage from the Emmy-winning hit series after an agonizing 11-month wait." The new season of Game of Thrones makes its debut July 16 on HBO. 6:30 p.m. Edward J. Balleisen, author of Fraud: An American History from Barnum to Madoff (Princeton University Press, $35, 9780691164557). 7:30 p.m. David Davenport, co-author of Rugged Individualism: Dead or Alive? (Hoover Institution Press, $19.95, 9780817920241). Re-airs Sunday at 11 p.m.
6 p.m. Cass R. Sunstein, author of #Republic: Divided Democracy in the Age of Social Media (Princeton University Press, $29.95, 9780691175515). 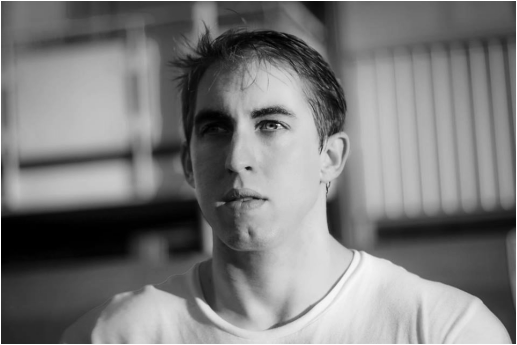 Los Angeles poet Brian Sonia-Wallace won the writer-in-residence contest sponsored by the Mall of America in Bloomington, Minn. The Star Tribune reported that Sonia-Wallace topped "more than 4,000 entries for the chance to stay at a mall-attached hotel for four nights, spend a $400 gift card at the food court and take home a $2,500 honorarium." For his part, Sonia-Wallace must write 125 shopper-inspired poems, 25 each day for five days, on a typewriter at the megamall from June 14-18. The poems will be recorded and shared with the public over the summer to celebrate the mall's 25th birthday in August. Describing the Mall of America as "a repository of our collective desires," Sonia-Wallace said he is eager to see what kind of poetry is inspired by its "boundless fulfillment of needs and wants." Sonia-Wallace was previously the 2016/17 Amtrak Writer-in-Residence and Artist-in-Residence for the City of Los Angeles. He has also been an artist-in-residence for the National Parks System, a performance artist at the L.A. County Museum of Contemporary Art and a resident poet for Dollar Shave Club. Theft by Finding: Diaries (1977-2002) by David Sedaris (Little, Brown, $28, 9780316154727) is the first of two volumes chronicling Sedaris's private writing. Iron Ambition: My Life with Cus D'Amato by Mike Tyson and Larry Sloman (Blue Rider, $28, 9780399177033) looks at the man who was Mike Tyson's coach and surrogate father from age 13. Welcome: A Mo Willems Guide for New Arrivals by Mo Willems (Disney-Hyperion, $15.99, 9781484767467) is a picture book "guide" for babies and parents by Caldecott Honor recipient Mo Willems. Cattle Kingdom: The Hidden History of the Cowboy West by Christopher Knowlton (Eamon Dolan/Houghton Mifflin Harcourt, $29, 9780544369962) explores the history and legacy of Wild West cowboys. Destined for War: Can America and China Escape Thucydides's Trap? by Graham Allison (Houghton Mifflin Harcourt, $28, 9780544935273) asks if historical trends make war between the U.S. and China inevitable. White Fur: A Novel by Jardine Libaire (Hogarth, $26, 9780451497925) follows a young couple from very different social backgrounds in 1980s New York City. You Will Pay by Lisa Jackson (Kensington, $26, 9781617734663) is a suspense novel about the deadly legacy of a summer camp prank gone wrong. Once, in Lourdes: A Novel by Sharon Solwitz (Spiegel & Grau, $27, 9780812989236) follows four teenage friends over two weeks during the summer of 1968. Trophy Son: A Novel by Douglas Brunt (St. Martin's Press, $25.99, 9781250114808) tracks the high-pressure adolescence of a tennis prodigy. When Dimple Met Rishi by Sandhya Menon (Simon Pulse, $17.99, 978-1481478687) is a YA rom-com about two first-generation Indian-American teens with opposing cultural viewpoints about marriage who meet accidentally-on purpose at a summer program for app development. We Are Never Meeting in Real Life. : Essays by Samantha Irby (Vintage, $15.95, 9781101912195). Wynonna Earp Yearbook: Season 1 by Robbie Robbins (IDW Publishing, $9.99, 9781631408939). Captain Underpants: The First Epic Movie, an animated film based on the children's book series by Dav Pilkey, opens June 2. The Leavers by Lisa Ko (Algonquin, $25.95, 9781616206888). "Deming Guo is a 12-year-old, Chinese-American Bronx native. When his mother abandons him without warning, he thinks he will be able to make a life with his mother's friend and her son. But when that friend gives him up to foster care and he is shipped off to live with white university professors in upstate New York, his life is turned on end once again. This is a beautifully-written, searing exploration of identity and dislocation. It is a profoundly American story and a compulsively fascinating read. I loved it!" --Kris Kleindienst, Left Bank Books, St. Louis, Mo. The Radium Girls: The Dark Story of America's Shining Women by Kate Moore (Sourcebooks, $26.99, 9781492649359). "The harrowing true story of The Radium Girls is a compelling and forthright portrayal of a dark, insidious mystery and the 'shining girls' who revealed it. Author Kate Moore takes the reader from Orange, New Jersey, to Ottawa, Illinois, following several women who work at factories that specialize in painting watch faces and instrument dials with the glow-in-the-dark wonder element radium. As these women fall ill in various and dire ways in the ensuing years, they seek answers and relief from the very companies that would deny them. In The Radium Girls, Moore, like the 'shining girls' before her, casts a bright light on these lives lost too young." --Heather Herbaugh, Mitzi's Books, Rapid City, S.D. Father's Day: A Novel by Simon Van Booy (Harper Perennial, $15.99, 9780062408952). "Van Booy's delicate touch is turned to the relationship between orphaned Harvey and her uncle, Jason, a man no one could expect to be the right choice as guardian. Van Booy uses the plot structure of a series of Father's Day gifts given to Jason from the now adult Harvey to reveal more than either of them realized about the life they have shared as adoptive father and daughter, as well as the heartbreaking truth of how they came to be a part of each other's lives. Father's Day is Van Booy at his most poignant, showing how redemption can arise from heartbreaking circumstances." --Don Luckham, The Toadstool Bookshop, Keene, N.H. The Catawampus Cat by Jason Carter Eaton, illustrated by Gus Gordon (Crown, $16.99, 9780553509717). "The inspired combination of Jason Carter Eaton's humorous text with Gus Gordon's delightful art creates a picture book that is tons of fun and so much more than the sum of its parts. The Catawampus Cat delivers a unique perspective on perspective." --Peter Glassman, Books of Wonder, New York, N.Y.
Lemons by Melissa Savage (Crown, $16.99, 9781524700126). "When Lemonade Liberty Witt is forced to move from San Francisco to Willow Creek, California, she is not sure how to handle all of the Bigfoot excitement, small town weirdness, and meeting her grandfather for the first time. In the spirit of making lemonade, Lem takes a job assisting the inquisitive and friendly Tobin, a local Bigfoot investigator, on his search to catch Bigfoot on film. Through her investigations of the town and Bigfoot, Lem might just find the answer to some very big questions, as well as the location of the nearest Bigfoot. Melissa Savage has managed to distill all of the grief of a major loss, the joy of discovery, and the fear of rebuilding into one magnificent middle-grade novel. Lemons is not to be missed." --Molly Olivo, Barstons Child's Play, Washington, D.C.
You're Welcome, Universe by Whitney Gardner (Knopf, $17.99, 9780399551413). "When Julia covers up derogatory graffiti about her best friend with her own art--and then her best friend outs Julia to save herself--Julia is expelled from her deaf school and mainstreamed. With her biggest meaningful relationship destroyed by betrayal and her mothers both watching her more closely due to her act of 'vandalism,' Julia just wants to keep her head down in public school and get out so she can recapture the rush of putting her art out in the world. But someone keeps challenging her by adding on to her art, calling her out. You're Welcome, Universe really emphasizes the power and complexity of female friendships; the window that it opens into deaf culture is an added bonus!" --Ann Childs, Odyssey Bookshop, South Hadley, Mass. Growing up, Caitlin Hendrix watched a killer's career destroy her father, Mack, a homicide detective with the Alameda, Calif., sheriff's department, in charge of the Prophet serial murder case. The Prophet consumed Mack's existence, costing him his marriage, his home, his sanity. As Mack slowly lost himself, the Prophet claimed seemingly unrelated victims in a variety of horrific manners: suffocation, drowning in a water-treatment pond, being burned alive in a mausoleum. The common denominator was that he marked his victims with the sign for Mercury. The Prophet was also poetic, leaving messages at crime scenes, sending the missives to news outlets and taunting Mack directly with his mysterious words. When Mack and his partner, Saunders, caught the Prophet in a misstep, they were almost able to apprehend him. Instead, the murderer shot and killed Saunders, then escaped. After that, the murders stopped, and there was no sign of the Prophet. Twenty years later, Caitlin Hendrix is making a name for herself in the narcotics division of the Alameda Sheriff's Department when the notorious serial killer strikes again. Homicide Sergeant Joe Guthrie summons Caitlin to the grotesque scene where a woman lies dead, strangled with a bullwhip and the Mercury symbol formed with nails protruding from her chest. Joe wants Caitlin on the investigation team because she's the only one with ties to her unstable father, now living in a boarding house and working as a day laborer. 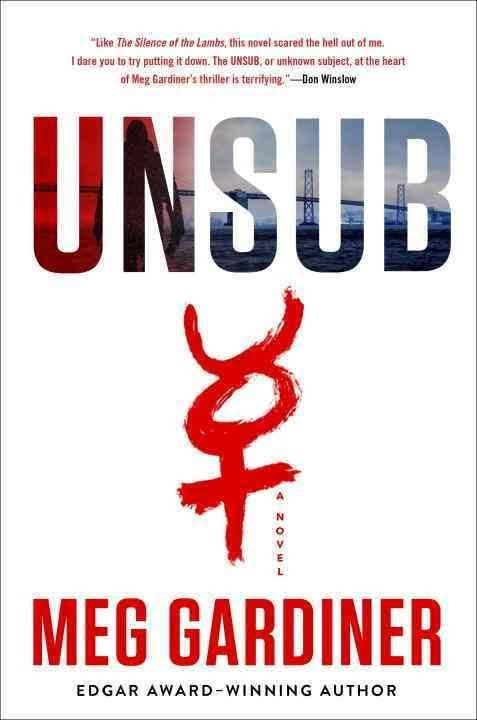 Regardless of Mack's questionable mental state, Joe knows he has valuable information about their unsub--unknown subject--locked inside him from long ago, and Caitlin's the one most likely to possess the key to that lock. What Joe doesn't realize is that Caitlin has more to offer the team than her familial connection to Mack Hendrix. She's a smart, driven woman, determined to serve and protect, as well as exact revenge for her father. But as the Prophet reels Caitlin in in the same way he did her father, her fate may turn out far worse. Shelf Talker: A young detective tracks the heinous serial killer who systematically destroyed her father's life 20 years earlier.